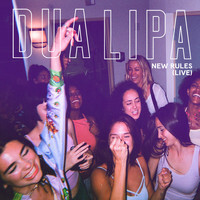 7digital What we said: Though tipped for big things as far back as 2015, Dua Lipa has deliberately taken her time sharing her debut album, choosing to wait until she’d built her public profile sufficiently and gotten the record just right. Following her recent NME Award win, and 2016’s BBC Sound Of and BRITs Critics’ Choice nominations, it would appear the she’s passed the former test with flying colours, but how about the latter? Well, there’s no knocking the husky soulfulness of the Kosovar-British singer’s vocals, nor the pedigree of her co-writes with Chris Martin, MNEK and Miguel. And while breakthrough single ‘Be The One’ remains the best thing here, it’s a set of sultry, R&B-inspired synth-pop that shows huge potential.